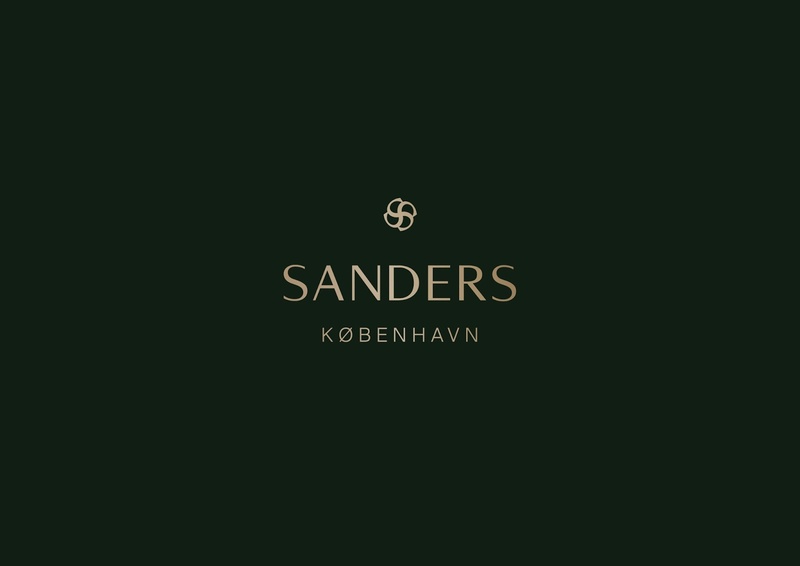 Located in the heart of Copenhagen’s historic centre, Sanders, a new boutique hotel, has opened its door to a highly anticipated luxury experience. The man behind is Alexander Kølpin - the former renowned Danish ballet dancer - who already runs two stylish destination hotels, Helenekilde Badehotel and Tisvildeleje Strandhotel. 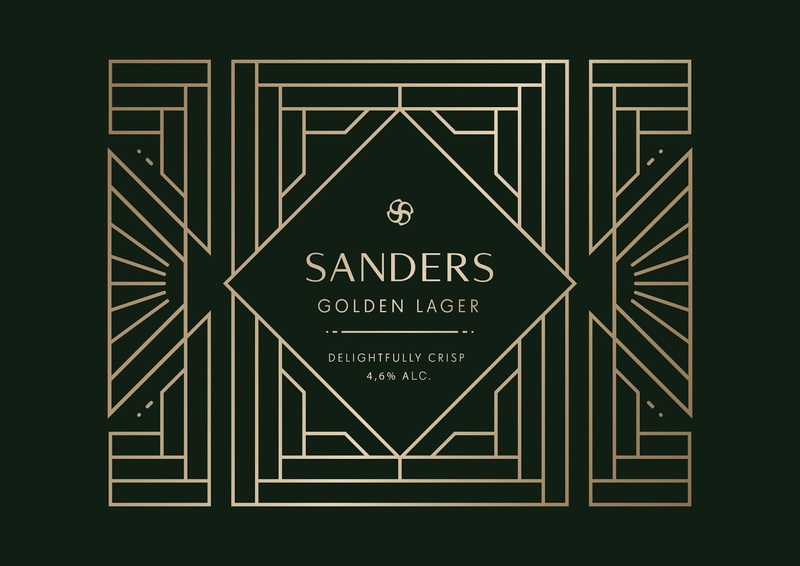 Sanders combines the understated, casual elegance of beach hotels with exclusiveness and luxury in every detail, evident from couches to cocktail glasses. 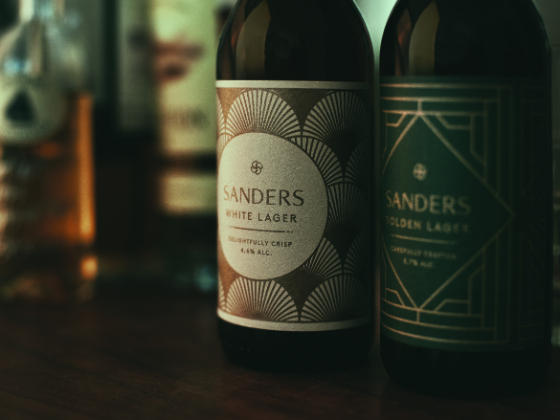 At the hotel bar, you can enjoy Kontrapunkt's beer bottle design for Sanders. 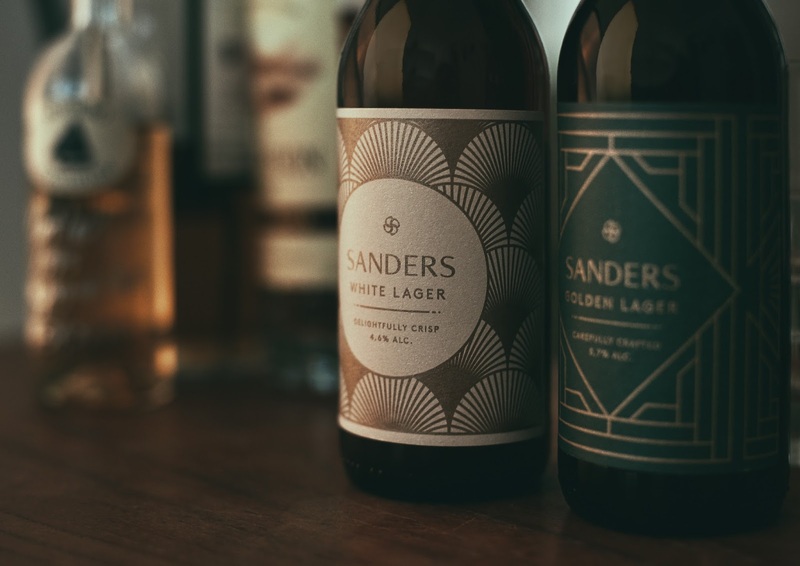 Kontrapunkt helped develop two custom beer: The Golden Lager and the White Lager. Both made by Svaneke Brewery in Bornholm, Denmark. As with the rest of the hotel, the result is kept tightly in line with the concept. A recognisable expression that clearly communicates the values and experience at Hotel Sanders. 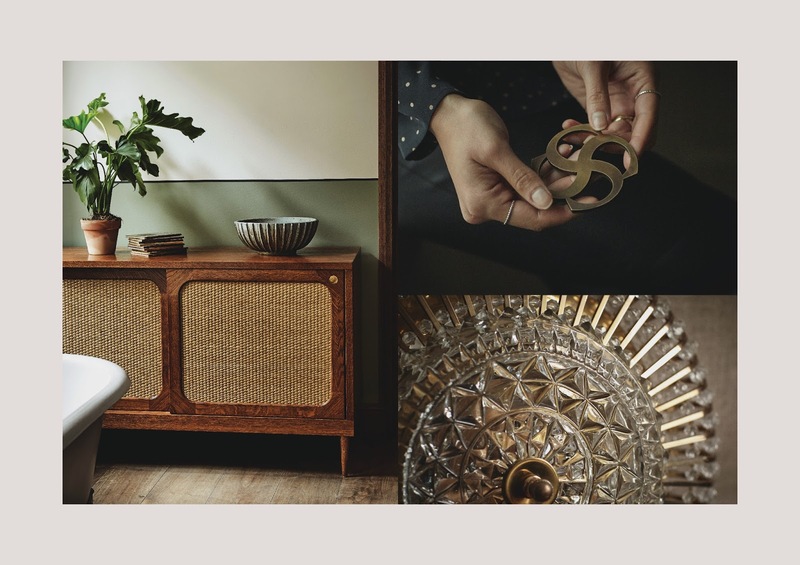 We drew inspiration from the art deco style and combined it with a subtle and warm feeling of casual and international elegance. 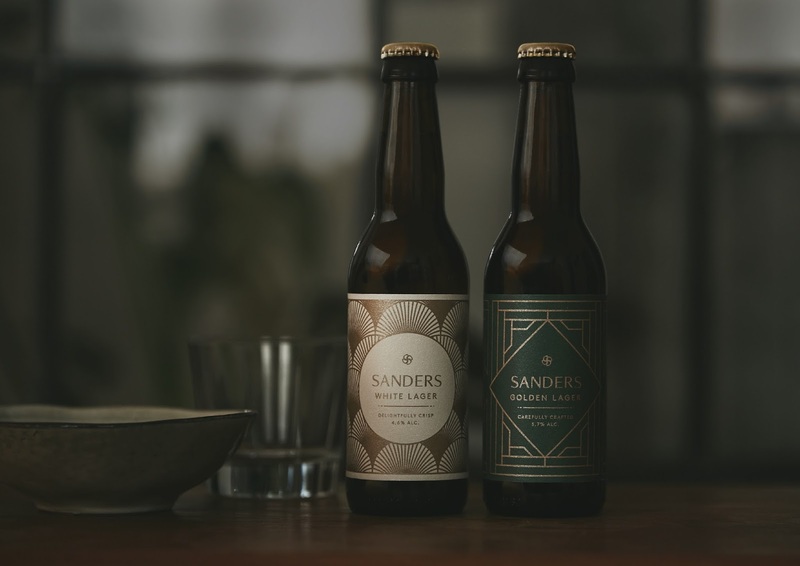 The lagers will add to Sanders’ mission and give Danish and international visitors one more reason to visit Copenhagen and the city’s latest addition to the hotel scene.